I’m getting better at the scooter-travel routine. I’ve learned how to pack so that it doesn’t take so much time to put things back on the scooter in the morning or access clothing layers, food, etc. on the road. Also, when and how to refuel has become more efficient. Now I have more time to devote to photos and the blog. May-be you’ve noticed I’ve caught up. 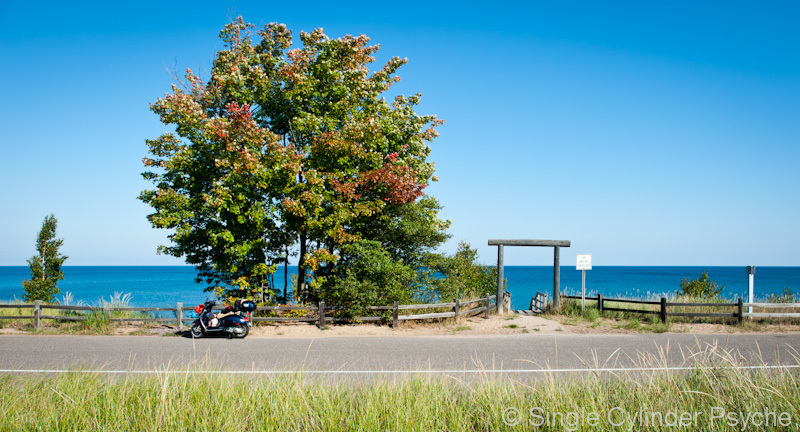 Today I finished up northern Michigan and passed over into Ontario. I didn’t take many pictures because it was mostly farmland and forest, and I can only post so many pictures of the scooter looking down the road. I have a new impression of the state of Michigan. 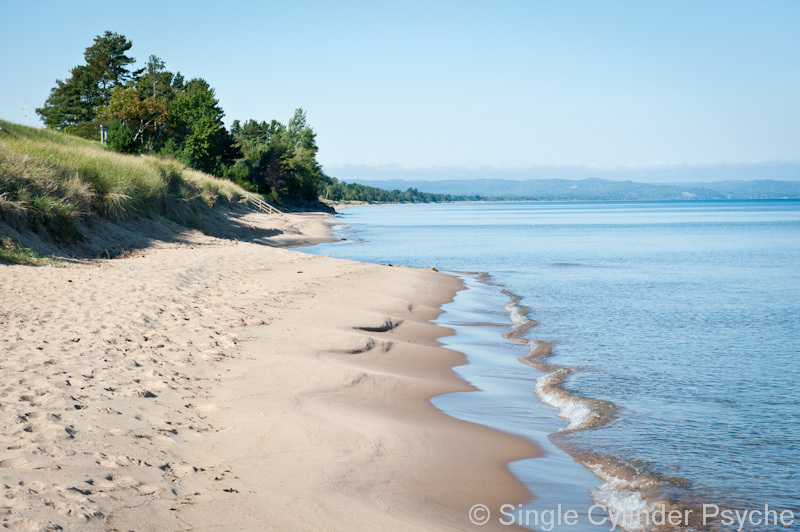 The part I rode through is referred to as the Upper Peninsula and is completely separate from the rest of the state. 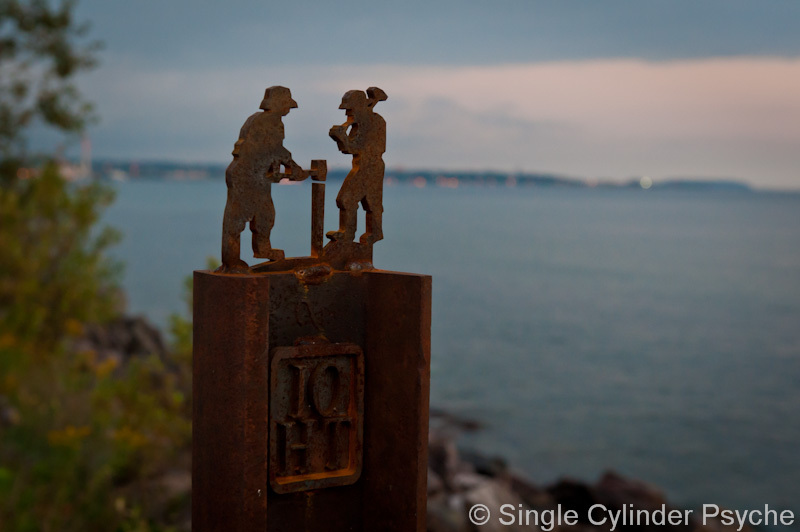 Upper Peninsula is sparsely populated, relies on mining (historically), lumber and tourism, and very much has it’s own identity. It has kind of a “Northern Exposure” feel, if you remember that TV show. Very appealing. 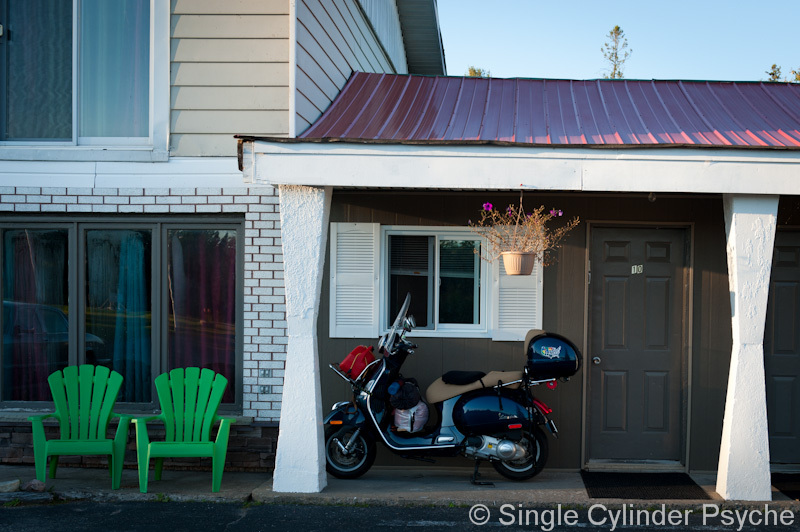 Last night I stayed at the Birchmound Motel just outside Marquette. It was operated, and may-be owned, by a pair of women who made it feel like home. Once again, I wish I had their picture and names. Tonight I’m in the very small town of Webbwood, Ontario. The only pictures I had time to take are of the motel front door and the one restaurant in town. 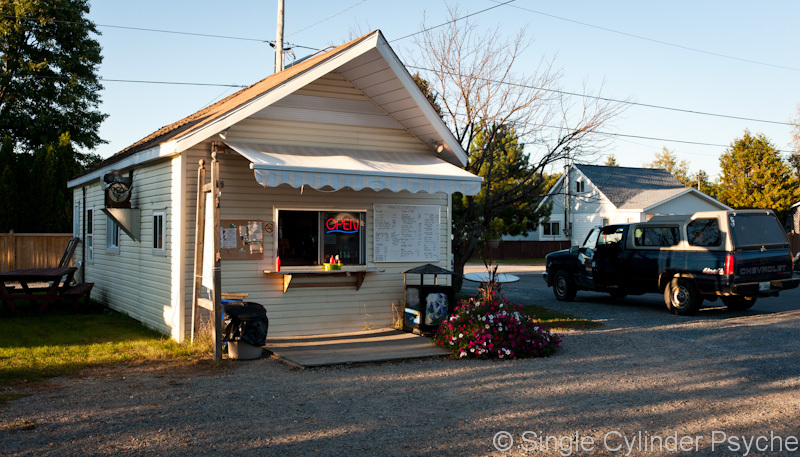 The restaurant was a walk-up with picnic tables out front. 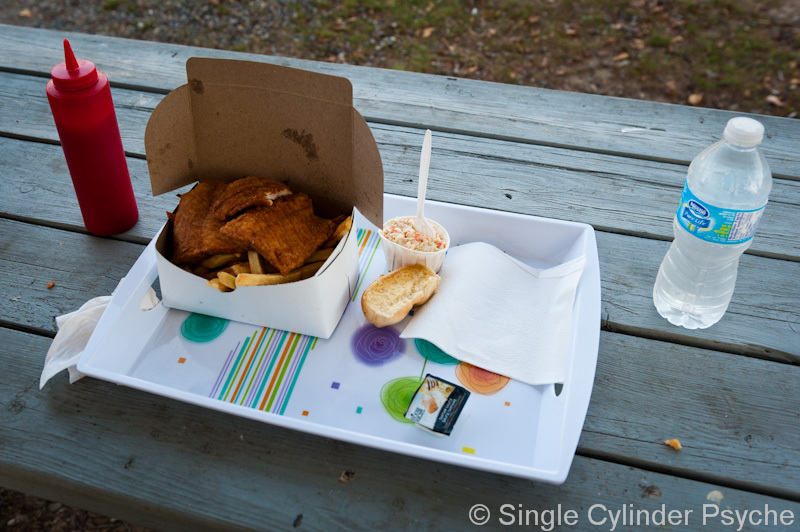 It specializes in fish-n-chips, and had the best version of that I’ve ever eaten. My motel room was on the second floor so the scooter had to sleep out with the cars. I didn’t go on a tour, but was interested to know that’s one of the things they do on the lake. The Edmund Fitzgerald sank in Lake Superior not far from here. Just wondering if you may be going through any part of New York State? We are located in the central part and would be glad to meet up if possible! 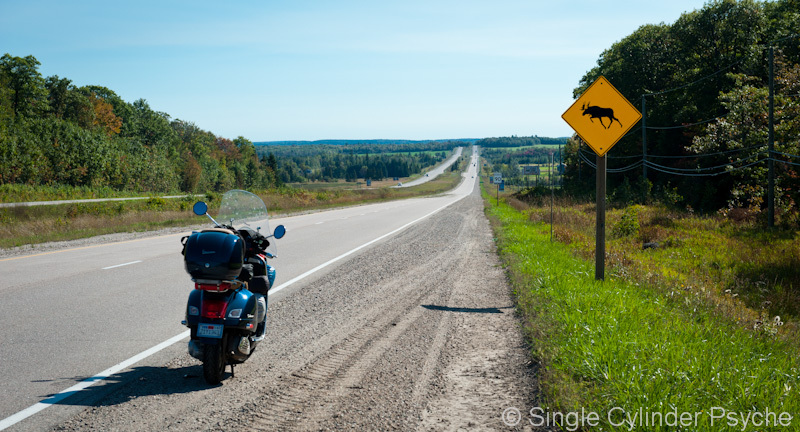 Looks like you’ve got great weather and beautiful country going through the U P.
I hear the Uppers are very nice people but watch out for the moose. The U.P is an amazing place. Too bad you had to roll on thru with little exploring. Such history!! 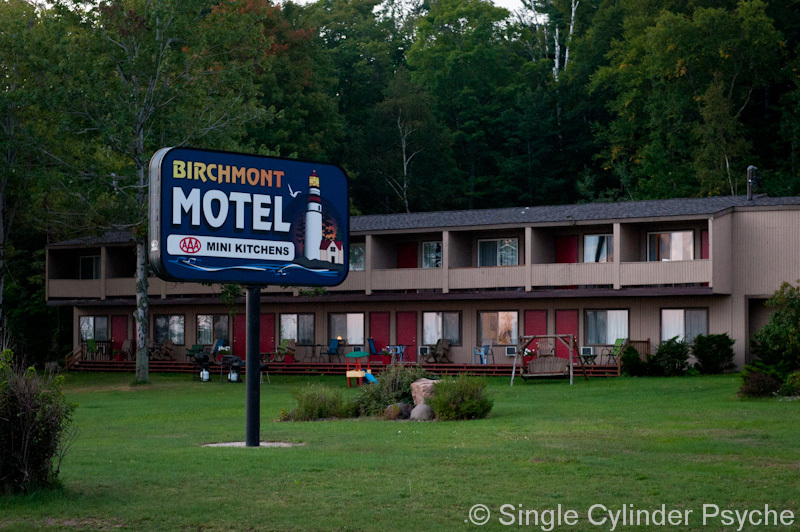 I’ve stayed in the Birchmont….. you could have done better, but the view of the Superior is good there. Later you will travel thru my boyhood area of western PA. I lived on 322 for more than 10 years. Nice country, hope you enjoyed it! 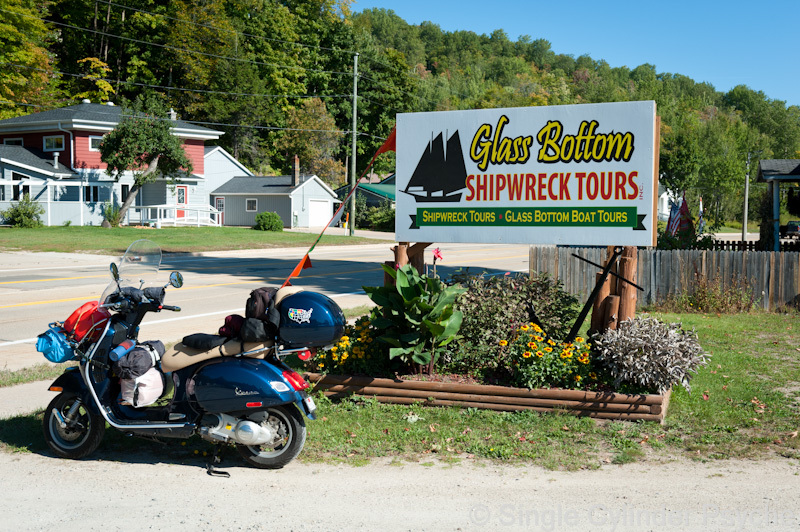 Yes, the Upper Peninsula has much to offer, and easily justifies more time to explore and appreciate. 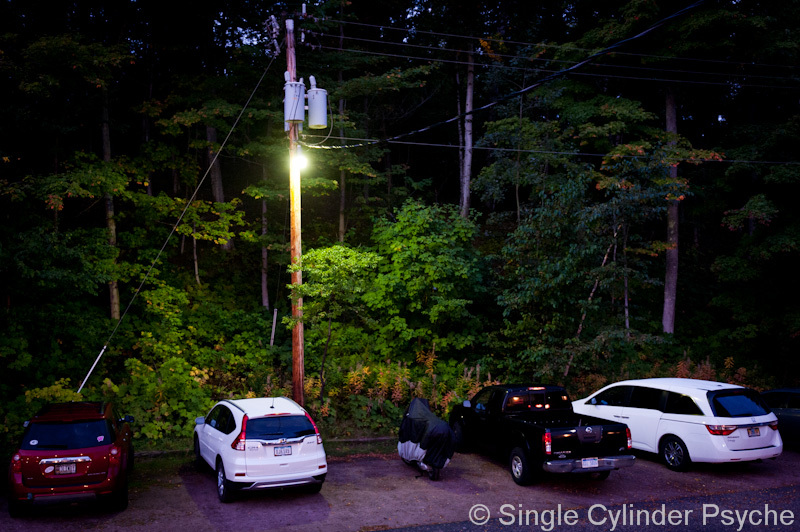 But the same is true of many, many areas of the country I rode through where I didn’t have time to linger. Not enough time in life to do it all. That’s OK. The fault would be to waste the time we have. Hwy 322 through Pennsylvania was a pleasure.